Cahill’s Crossing is one of those places, you know, the sort of place that leaves a lasting impression and yet at a glance it’s pretty ordinary. You won’t find pristine forests or waterfalls here, there are no gorges and only a couple of short walks. For the most part, it’s just a car park, a river crossing, picnic area and a viewing platform. You might not even hear about Cahill’s Crossing from the usual tourist information guides or brochures, but my advice is take the time to go anyway. Besides, its on the way to Ubirr which you really should see. 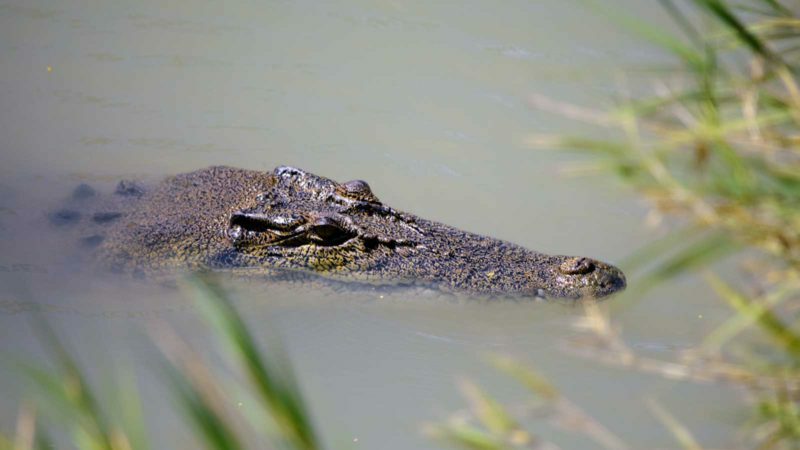 You can find out more about it in this post Ubirr – Kakadu Highlights. 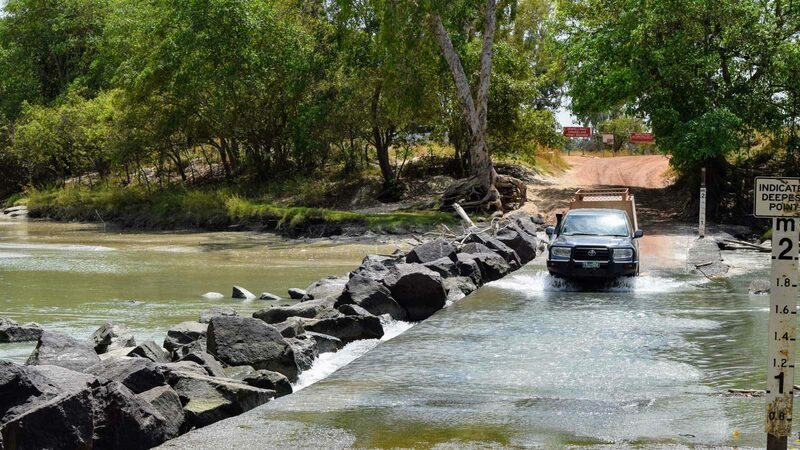 Cahill’s Crossing is a flooded causeway located on the East Alligator River at the eastern edge of Kakadu National Park. It’s an easy 50-minute drive from the township of Jabiru. Named after Paddy Cahill who established a cattle station nearby in the 1880’s and went on to become the region’s first buffalo hunter. The East Alligator River serves as a partial boundary separating Kakadu National Park from West Arnhem Land and the Cobourg Peninsula. 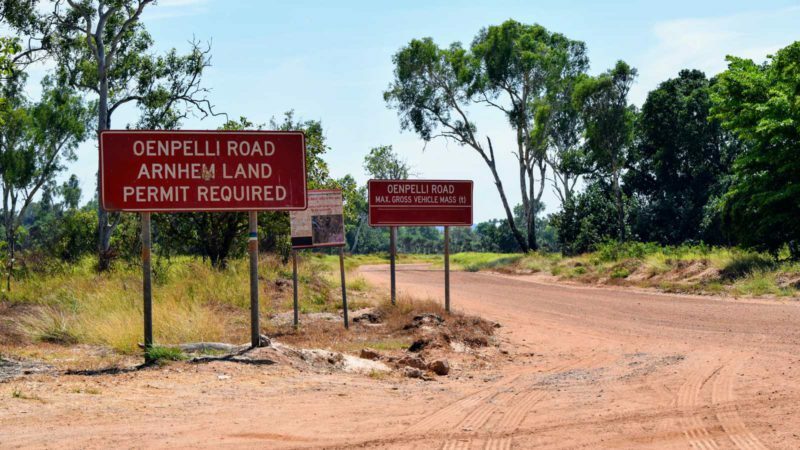 The country east of the river is all Aboriginal land and permits are required to enter. 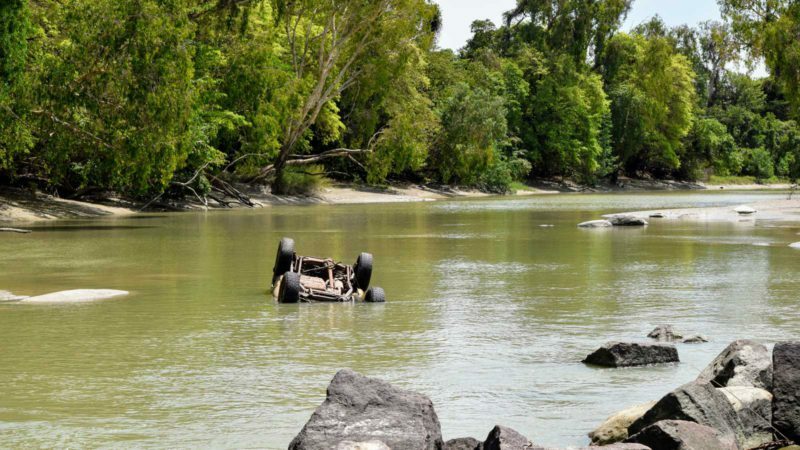 Cahill’s Crossing has a somewhat notorious reputation and in the media you will find claims like ‘Australia’s most dangerous water crossing’ or ‘Croc infested waters’. Most of which feature a particularly grizzly incident in 1987 when a fisherman slipped from the causeway and was decapitated by a 5.1 metre crocodile in front of his friends. Another man as killed more recently in January 2017 after being swept from the causeway while attempting to wade across it. There are also several incidents where vehicles have been swept off the crossing while making the attempt when the water was too deep. The truth is, with a little common sense and planning around the tides, the risks are minimal. One thing is certain, hands down, Cahill’s Crossing is by far the most reliable place to see a crocodile in the wild and for free. 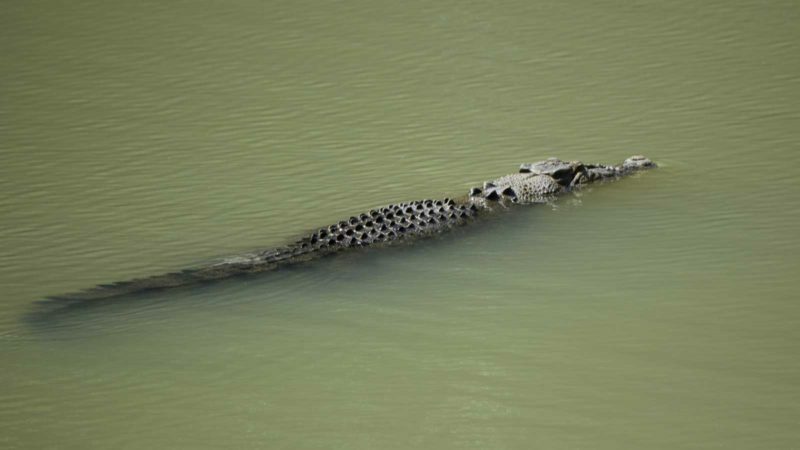 The crocs here have learned that they can get an easy meal when the conditions are right and congregate near the crossing to wait for fish to run over the causeway in shallow water. When we visited at least six large ‘salties’ were hanging around and no doubt more that we didn’t see. I’m told at times, up to thirty can be seen cruising the area. 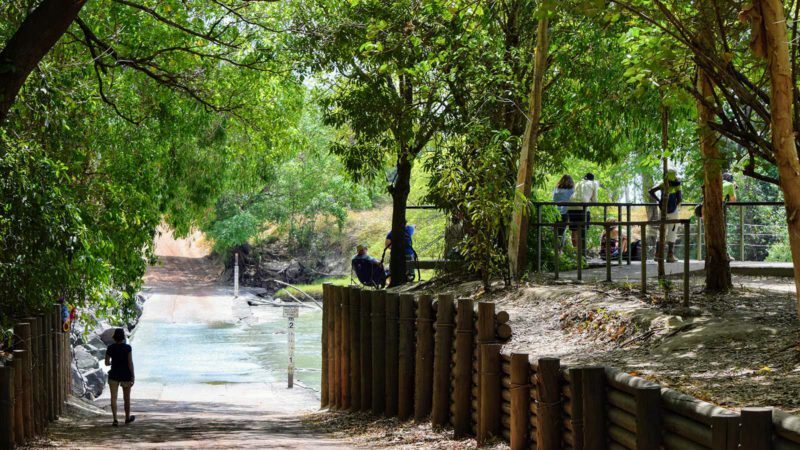 The viewing platform at the river’s edge is a great spot to spend some time watching the activities but don’t worry its well above the river and out of reach for the crocs. We spent an hour or so here croc spotting and watching vehicles cross over and thoroughly enjoyed ourselves. 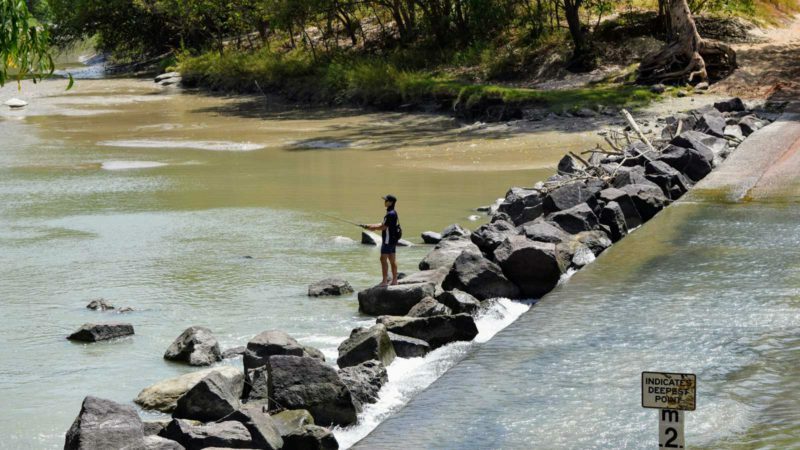 Cahill’s is a popular spot for fisherman and many anglers visit with the hope of landing a Barramundi. Perhaps that’s part of the appeal of this place, when you see man and beast hunting together for the same prize, or is it the tension and anxiety you feel when you think someone might be standing just a little too close to the water’s edge? Definitely worth a stop here on your way to Ubirr, you can have a picnic there or drop into the Border café round the corner (seasonal trading) for an ice cream or a meal. There is also some cultural tours available if you want to make a day of it. Check with the Kakadu Info centre for details. Just remember, don’t be an idiot when it comes to crocs and treat them with the respect they deserve.